"""make abcview session dirty decorator"""
"""make abcview session clean decorator"""
Recursively recasts an IO-module object to a GL-module object. Used for loading session items into the GL viewer. parses a python file looking for docstring, __name__ and __author__. Auto-unfocus line editor used for search bar. Updates the splash screen progress bar. Sets the message to be displayed in the splash screen. 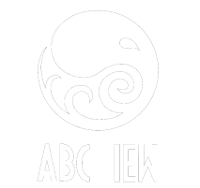 Creates an instance of the AbcView Main Window. Resets the AbcView layout settings to default values. Loads "review" display settings. Does not affect saved settings. Loads AbcView layout settings from a PyQt settings file. Saves layout settings to a PyQt settings file. Toggles visibilty of given widget. :param widget: AbcView widget object. Returns the actively selected AbcView object. session file(s). Disable by setting mode to None. event loop is up and running. frames of the given session. assert session.type() == Session.type(), "Invalid session"
frames of the given scene. assert scene.type() == GLScene.type(), "Invalid scene"
its event loop. This handles deferred file loading. overrides and creates tree widget items. Waits for the window to be drawn before proceeding. to the current filepath if filepath is None. Loads and executes a python AbcView script. :param script: code or path to file containing python code. Playback handler, starts playing the viewer. Viewer playback stop handler, stops the viewer playback. Object tree item clicked handler. Property tree item clicked handler. os.getcwd(), ("Alembic Files (*.%s *.%s)"
the object tree widget has focus. matches, it defers to the viewer. file loading, among other things. Callback function for Timer timeout. that they meet the minimum requires versions. Current minimum version requirements for Alembic are 1.5.0. Creates a new instance of an :py:class:`.AbcView` application. assert fps > 0.0, "fps must be greater than 0"